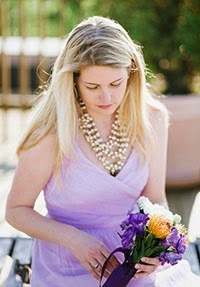 Halcyon Style: Oh My Gosh! They're finally married! 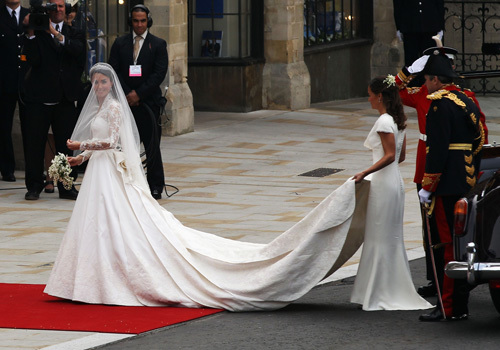 Here I am watching the Royal Wedding happening live. I was so excited that I practically jumped out of bed when my alarm went off at 4 am! I got to see all the hit and miss hats adorning the heads of guests. My favorites were definitely the smaller fascinators. And then I started squealing like a five year old at a birthday party when I saw Catherine, now HRH Duchess of Cambridge, get into that rolls royce! 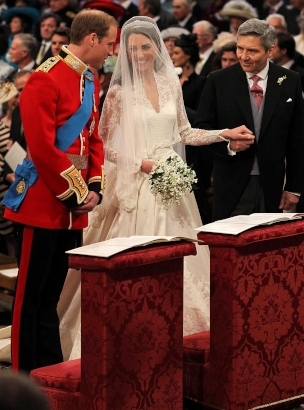 I was very happy that she wasn't wearing flowers in her hair but had wisely worn the tiara loaned to her by the Queen, known as the 1936 Cartier Halo. And now for the dress, a beautiful ivory satin with stunningly intricate lace applique featuring the four floral emblems of the UK: rose, thistle, daffodil and shamrock. Even though it wasn't hip and chic much to the displeasure of the haute couturiers I thought it was perfect for a wedding of this magnitude. 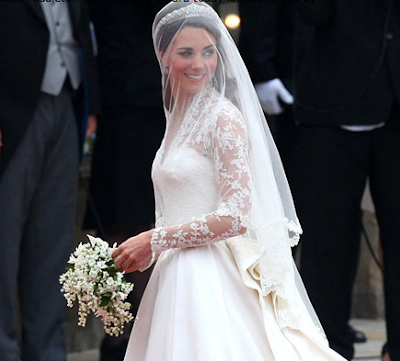 Kate chose Sarah Burton, the creative director of Alexander McQueen, to design the gown. Stately and regal with a victorian style tight corset top paired with fuller skirt, it still had lovely clean lines. 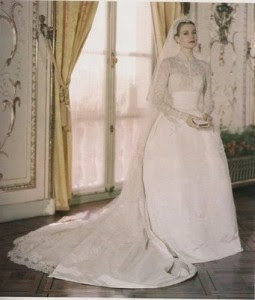 It's been remarked that Kate's dress it very reminiscent of Grace Kelly's 1956 wedding gown. 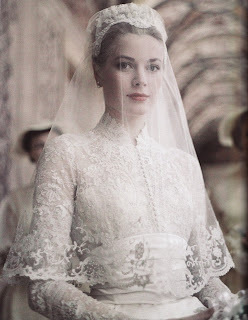 What a compliment, the late Princess Grace is still a style icon.